« “Forgotten Hollywood”- Literary Icons Get Walk of Fame Stars! An old power plant at Sing Sing that once supplied the juice for the electric chair is being eyed as the site for a museum dedicated to the infamous prison. Supporters envision thousands of tourists streaming up the river from New York to see artifacts including, Old Sparky, as the chair was known; a metal cage used when prisoners were transported; and a display of prisoners’ weapons, from axes made in metal shop to shivs fashioned from forks. 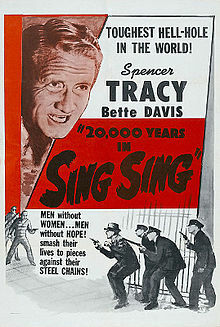 Sing Sing’s reputation was burnished by Hollywood, which used it as a setting for such 1930s movies as The Big House, 20,000 Years at Sing Sing, and Angels with Dirty Faces. The lockup 30 miles up the Hudson from New York City also inspired the saying now synonymous with incarceration and the tile of a 1930 flick: Spencer Tracy and Humphrey Bogart starred in Up the River. It was the only time these noted thespians appeared together in a motion picture. The famed prison was also the last stop for many members of the notorious of Murder Inc., which acted as a contract killing squad for the Mafia in the 1930s and 1940s. There are plenty of prison museums around the country, but most, like Alcatraz in San Francisco Bay and Eastern State Penitentiary in Philadelphia, are at closed facilities. It’s rare to have a museum at an active prison. The Angola Museum, just outside the gates of Louisiana State Penitentiary, draws about 2,600 visitors a month. A Sing Sing museum could eventually attract 250,000 people a year. Like Warner Brothers, planners expect to make a killing at this site! Steve Rossi was 1/2 of the comedy team Allen and Rossi ——> For over a decade, they appeared on the Ed Sullivan Show, The Tonight Show, and The Merv Griffin Show. They were also a staple in Las Vegas. They released multiple comedy albums and co-starred in a feature film, The Last of the Secret Agents. Steve was discovered by Mae West in 1953 when the comedian starred in The Student Prince at the Civic Light Orchestra in Los Angeles. 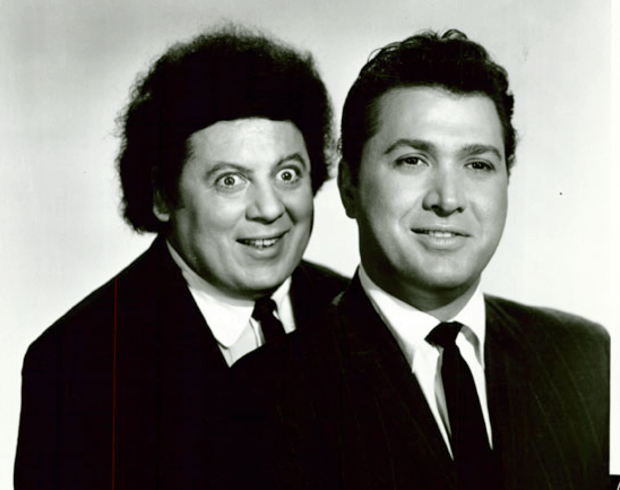 Marty Allen and Steve Rossi were signed as a duo to Paramount Pictures in 1957. They officially broke up in 1968. Rossi continued his singing career as a solo artist, recording for several labels in the 1960s and 1970s, including ABC Records, Red Bird Records, Roulette Records, and Columbia Records. He also briefly teamed with Joe E. Ross, Slappy White, and Sandy Hackett, the son of Buddy Hackett. This entry was posted on Sunday, June 22nd, 2014 at 1:05 pm	and is filed under Blog by Manny Pacheco. You can follow any comments to this post through the RSS 2.0 feed. Responses are currently closed, but you can trackback from your own site.